Lafarge Iraq is a member of LafargeHolcim Group, a world leader in building materials with a local presence in 80 countries employing 80.000 people, posted sales of CHF 29.5 billion in 2015. 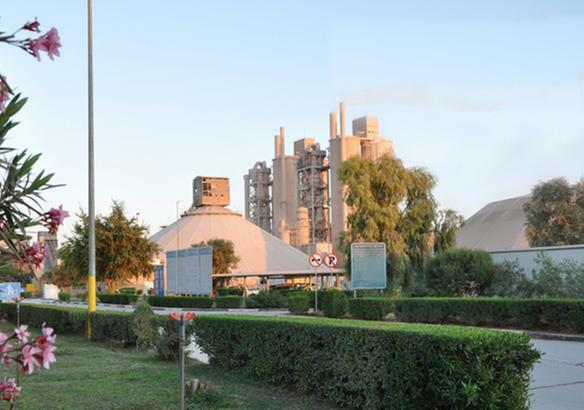 Lafarge Iraq operates 2 cement plants: Bazian cement plant located in Sulaimani, Iraqi Federal Region of Kurdistan, and Karbala Cement Plant located close to Karbala province. 15 RMX-concrete manufacturing sites located in North, Middle and South of Iraq serving private and public organizations as well as the general public. Lafarge is a customer and end user-centric company seeking to offer high quality, innovative and differentiated building solutions and exceptional services to its customers. Lafarge - Cement Iraq is supplying the demand of the Iraqi market needs through its Wide Network distributors and direct retailers located in all Iraqi provinces, served by competent sales representatives..
Mission of Lafarge-Cement Iraq is to be a reliable supplier of high quality innovative cement products based on diversified usages/applications contributing to the improvement of people's life style. Production capacity of 2.7 MTon /Annum. Producing Ordinary Portland Cement - OPC, Portland Limestone Cement CEM11 and High Sulphate resistant Cement - SRC. Production capacity of 2.4 MTon /Annum. Producing Portland Limestone Cement - CEM II and High Sulphate resistant Cement - SRC. A rich reference of large scale infrastructure and residential projects such as Karbala Refinery Project, Bismaya Residential Complex (Baghdad), The Kobane Bridge (Sulaimani).